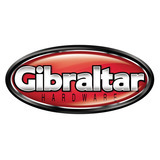 Gibraltar's GSCGRSAR is an augmented version of a traditional right angle clamp. 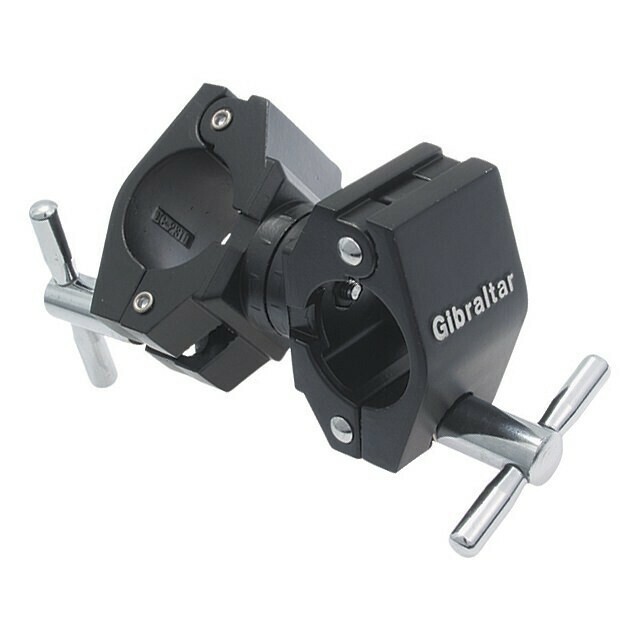 The augmented part is an adjustable ratchet tilter that allows you to change the angle and positioning of the bar. The drum key screw inside allows you to lock in the angle that you want, so instead of attaching a bar at a 90 degree angle, you can have it offset and attach it at whatever angle you want. Similar in design to the GSCGRSRA. Allows multiple angle adjustments via a geared drum key rod/bolt assembly.